We all know what is search engines. What are people search engines? People search engines are used to find a lost relative, an old flame, a classmate etc. It’s used to find a person directly from search. Today we have to list 9 best deep web people search engines that could help you to reconnect with your favourite one. PeekYou is the best people search engine I ever find. PeekYou is really easy to use. You just need to put the first and last name of the people you want to find or username. PeekYou collects and combines scattered content from social sites, news sources, homepages, and blog platforms to present comprehensive online identities. Zaba Search is not a worldwide people search engine, but it’s best within 50 states from the USA. You will get Telephone Numbers and Addresses for free Zaba searches. Top access Zaba premium services you just need to logging in with your Facebook account. Pipl comes next on our list. 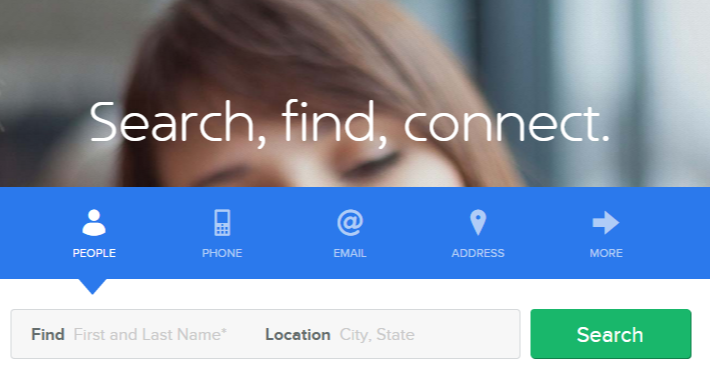 Millions of users have used Pipl’s free people search engine to find old friends. You just need to put the name, email address, and location if available to find a person. Spokeo is a people search engine that organizes White Pages listings, Public Records and Social Network Information to help you safely find & learn about people. With Spokeo, you can easily reconnect with your classmates, teammates, etc. AnyWho will help you if you are searching for an old friend or try to verify an address. If you maybe saw an unfamiliar phone number in your records, you can find that person name easily. Personal identifying information available on AnyWho is not provided by AT&T and is provided solely by an unaffiliated third party, Intelius, Inc.
Intelius helps you to do people Search reports can include phone numbers, address history, age & date of birth, relatives, and more. PeopleSmart is a people search engine designed to help you find and connect with others. People Smart provide search access to contact information and public records. SkipEase comes next into our list. SkipEase is not a popular site like PeekYou or Pipl, but it’s really worth to try. SkipEase can be used to search people inside the United States. SkipEase provides different people search options like Instant Checkmate, Social Search, Facebook people search, LinkedIn profile search, etc. Facebook can be your People Search Engine if you how to search well on Facebook. Facebook is the largest Social Network in the world and millions of people check in to it daily. On Facebook, you can search for people by name, email, school name, company, etc. Once you start your search, Facebook will return the most relevant results instantly. These are our best people search engines. Did we miss your favourite one? Let us know through comments.